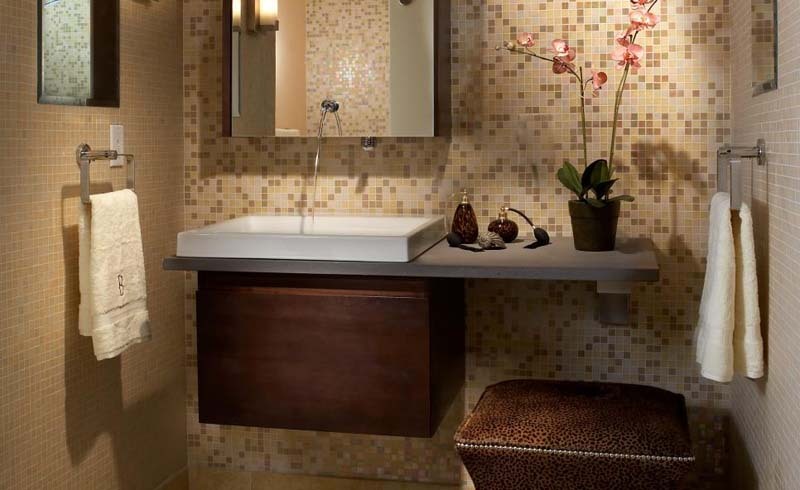 Bring a backsplash to your bathroom with ideas from these gorgeous, spa-like spaces. Bathroom backsplashes may be the unsung heroes of the simple bathroom design world. These wall covers can completely change the look and feel of a room, and like barn doors for bathrooms, they’re multitaskers—they protect the wall from water damage at the same time. Similarly to kitchen backsplashes, bathroom backsplashes can be most any type of material and take on almost any shape. They can contribute to the floor-to-ceiling bathroom tile trend, or they can be a standalone strip of accent tile. They can even handle even edgier style choices, such as just covering the wall space directly behind the sink, a utilitarian, near-industrial decision that would pair well with the exposed pipe shower trend. With so much variety, though, comes a difficult situation: How can an average homeowner (or renter, thanks to peel and stick backsplashes) even hope to make a bathroom pop with the just-right arrangement of bathroom tiles? How does one decide if this bathroom décor idea should go just behind the bathroom sink or vanity, the traditional spot for a bathroom backsplash, or if it should extend all the way around the room? Fortunately, as these bathroom backsplash ideas prove, there’s no wrong decision. Paired with gorgeous tile floors, curated mirrors, and clever storage solutions, bathroom backsplashes can guide the aesthetic direction of a room—and give even a small bathroom a powerful dose of style and sophistication. After all, what else is there to cover the wall space in a bathroom? Gather up some bathroom décor inspo with these bathroom backsplash ideas, and then start making some decisions: What kind of material would be best? Where should the backsplash extend to? What color family should guide the look? 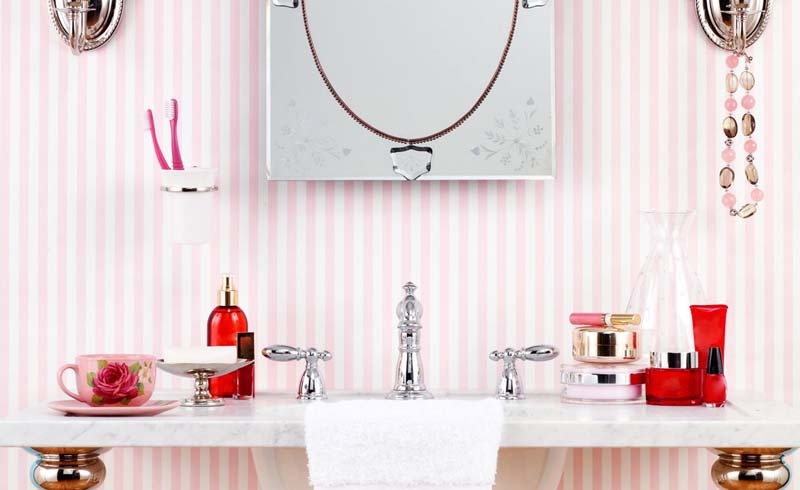 Whatever the final look, rest assured that every guest will be admiring this high-impact bathroom update. Blue and white stone tiles pop against gold accents in this glam bathroom. A little peel and stick magic can mimic the elegant penny tile look, sans difficult installation process. In a compact bathroom, a high-powered accent wall (that can always double as a bathroom backsplash) packs a major visual punch. White subway tile paired with white grout makes for a clean, fresh-feeling bathroom. Small-scale black tiles surrounded by large-scale elements (a mirror, a vessel sink, a floating vanity, etc.) introduces gorgeous contrast to any space. In a neutral color, an irregular tile arrangement is both playful and soothing. An ornate backsplash is easily balanced by neutral accents and white wainscoating. A bold tile pattern can serve as a chic focal point in an otherwise simple bathroom. White-washed brick—or brick of any color—can lend a rustic, cozy feel to any bathroom.